Note: The following information has been made available to us. Please contact the University of Texas at Dallas for more up-to-date details. The United States Chess Federation is a non-profit 501 (c)(3) membership organization devoted to extending the role of chess in American society. US Chess promotes the study and knowledge of the game of chess, for its own sake as an art and enjoyment, but also as a means for the improvement of society. It informs, educates, and fosters the development of players (professional and amateur) and potential players. 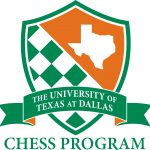 It encourages the development of a network of institutions devoted to enhancing the growth of chess, from local clubs to state and regional associations, and it promotes chess in American schools. To these ends, US Chess offers a monthly magazine, Chess Life, as well as targeted publications to its members and others. It supervises the organization of the US Chess Championship, an open tournament that is held every summer, National Scholastic Championships and other national events. It offers a wide range of services to its members. It serves as the governing body for chess in the United States. In addition, it participates in international chess organizations and projects. It is structured to ensure effective democratic procedures in accordance with its bylaws and the laws of the state of Illinois. Ursula Lowenbach Foster, Holocaust survivor and former classmate of the now famous Anne Frank (author of ‘Diary of Anne Frank’), died in Modesto, CA, in August of 2004. She was 77 years old. In 1938, at 11 years old, Mrs. Foster fled Germany with her family to Amsterdam to escape Nazi persecution. Two years later, Germany conquered the Netherlands, and brought the same persecution to the Foster’s new home. The last time she saw her older brother, Ernst, was July 14, 1942, when at age 18 he was arrested by the Nazis, and sent to Auschwitz Concentration Camp in Poland, where he died in the gas chambers. Mrs. Foster is mentioned by name in the book written by Anne Frank. Her time of hiding was fraught with danger, fear, and deprivation. It was during this time that her father taught her how to play chess. On her 16th birthday, she was confronted by two Nazi officers, and narrowly escaped imprisonment when one of the men realized she looked remarkably like his own daughter, and chose instead to walk away. Throughout her life, she kept the yellow star, inscribed with “Jood” (Jew) that she’d been forced to wear as a child. Though a shy woman, she lent her time and experience to school children at Modesto area schools, giving talks about the Holocaust and its horrific impact on her life and those of her family and friends. She was a civic volunteer, working with the Memorial Medical Center, driving cancer patients to and from medical appointments, and promoting literacy by delivering books to shut-ins and reading to underprivileged children. Her sons are establishing the scholarship to continue their mother’s work and sense of civic duty, and keep alive her love of the game and devotion to young people. (Editor’s note) Mrs. Foster’s sons, Rick and Cliff Lester, provide a scholarship of $500 awarded through the Chess Trust to the Top Player, age 16 and under, from the Denker Tournament of High School Champions. The Ursula Foster Award was created in memory of their mother’s life and dedication to young chess players. The National Scholastic Chess Foundation is a 501(c)3 nonprofit dedicated to improving education and inspiring excellence through chess. NSCF’s founder and executive director is FIDE Master Sunil Weeramantry, a nationally acclaimed instructor who has over 40 years’ experience teaching, coaching and developing award-winning programs.